hennemusic is rockin’ some Christmas favorites to celebrate the spirit of the holiday season. 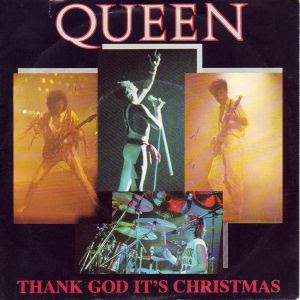 Queen got in the holiday song mood in 1984, releasing “Thank God It’s Christmas” as a single. The tune spent six weeks in the UK charts over Christmas 1984 and new year of 1985, and reached number 21. Queen to tour with Adam Lambert? Could Lady Gaga be Queen’s new singer?